Just Peachy Matte Eyeshadow Palette – I love the warm shades in this palette. My fave shades are ‘Peach Cobbler’ and ‘Just Ripe’. 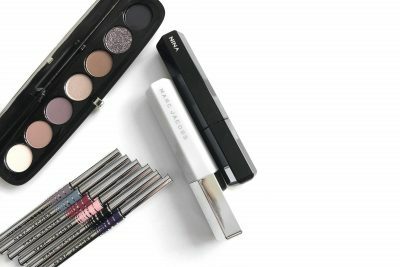 The eyeshadows are super matte and don’t have fall out. It feels very velvety when you swipe over them and glides on easily with amazing color pay off. 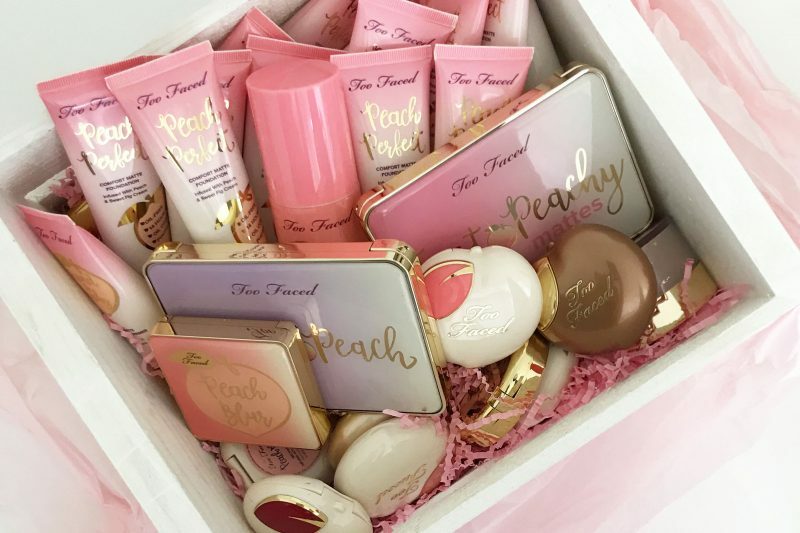 Peach Perfect Foundation – I was pleasantly surprised by this foundation. 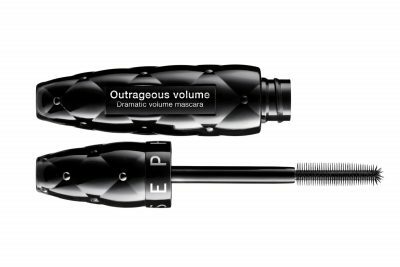 I love the pump tip as it makes it much easier than pouring out the foundation and it’s definitely travel friendly. There are 20 shades of foundation! 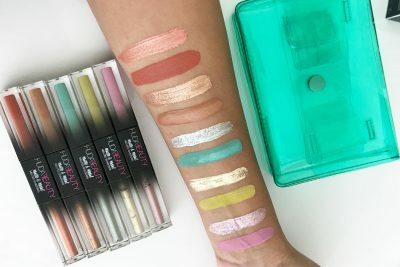 I swatched all of them below for you and I’m so impressed with the shade range. There is a good variation between shades and they have catered for super dark skin tones too. The texture is a rich creamy formula that glides on the skin super smooth. The coverage is amazing and it’s buildable. A plus point is that they are oil free and last up to 14 hours! Sweetie Pie Bronzer – I love this because it’s the perfect combination of Peach tones and Bronzer with a subtle sheen. I don’t feel you need blush with this as when you swipe it on its just the right amount of everything for a warm glow. Peach My Cheeks Blush – These are such cute little blushers. This is a melting powder blush which is in between a cream and powder formula. It melts into the skin and leaves as much color pay off as you like based on how much you apply. There are 6 shades available. Bronzed Peach – This is also a melting powder bronzer so the same formula as the blushers. What I like about this is that you can use this as a subtle contour as well as bronzer.